Later, his brothers press him to go to the Feast, reasoning that a public figure cannot rally a following without showing up in a big way at these big cultural gatherings. They developed the Awaken Workshop to help Christians study and pray over their own lives, relationships, experiences, heart-passions, and values for one purpose: to extract from the remarkable investment of God in each life the unique calling God has for that person. Awaken is nine vigorous, intentional hours dedicated to uncover the clues to who you are and why you’re here. Is it any wonder you’re fuzzy about what God’s calling to you might be? Armed with clarity about her calling, a mature, self-defined leader has little difficulty saying “no”. In fact, the clearer she becomes, the more she says “no” to the many good, honorable, helpful things that would take her away from living her central calling from God. She’s not threatened when people don’t see things the way she does. She does not need the agreement of others to bolster her confidence. She understands her calling. She is proactive about setting her life up to live that calling from God. Unapologetically. In some sectors of the church today there’s great momentum, clarity of mission, risk-taking experimentation, courageous leadership, and fresh reliance on the Holy Spirit for direction, empowering, and transformation. Churches are breaking out of the attractional paradigm and are moving their ministry focus off their facilities and into the community where those who need Christ are. Committed to love and serve people until they ask why, Christians are living the Gospel among the unchurched – and they are responding with surprise, with gratitude, and with saving faith in Jesus. And, in other sectors, churches, ministers and members are bewildered. Attendance is falling. So is giving. Enthusiasm for church programs is low. Discouragement is high. Anxiety is epidemic. Denominational systems feel this more intensely. Local churches are less able or willing to send money ‘up the food chain’. Regional and national budgets are being slashed. Programs and staff are being eliminated. Every forecast is more sobering than the last. The Church is aging…more rapidly than ever. Since most giving comes from the more senior members, their mortality portends the same for the systems their generosity built and sustained for decades. Like a bewildered ball player, thousands of clergy and denominational execs who are “at bat” in this hour stand in the batter’s box…crouched to bunt. The advantage is if you’re going to bunt, it’s the best stance to be in. The disadvantage: you can’t do anything but bunt from that crouch. And, here’s where many in the Church find themselves today. Not sure how to stem the receding tide of dollars and attendees, Church leaders cycle from one well-worn, low-risk program to another. Trouble is, the “score” is so lopsided that laying down bunts won’t move us forward fast enough. What’s needed is to restore apostolic momentum to the Church. Apostles are “sent ones”. The apostolic Church was a sent church. In contrast to today’s stogy institutions, the early Church was on the move. Its method: personal encounters as the redeemed loved, healed, and shared their stories. For this to recur, our churches need to mature and mobilize Christians as ministers to those outside. In May, my CRM team will equip pastors, church planters, and lay leader to do exactly that. 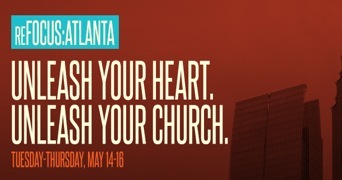 At reFOCUS: ATLANTA we’ll introduce tools we’ve developed working with more than 5,000 pastors and churches. Strengthening pastors to lead, Christians to mature, and churches to engage their cities with the lived-and-proclaimed Gospel. We’re considering the idea that each of us is an invitation. We’re always inviting people toward us. They come for what we offer. Many times, we have no idea what that is. For the last four segments, I’ve invited you to examine what you invite, to decide if it’s what you want. If not, you might want to re-do your invitation. So, how do you decide what to invite? The answer lies in what you’re for. Why are you living, breathing, taking up space? Why did God put you on the planet at this moment in history? It’s absolutely true that you were made to glorify God, through Jesus. And you get to love your family faithfully and establish the way of Christ in your home and relationships. Beyond all that, each of us gets to bring a unique brand of “good” to the world. Ephesians 2:10 is clear. You’re created in Christ to do good works that God prepared before hand. There’s more to life than working, eating, sleeping, entertaining ourselves, and attending church. As God’s workmanship, you’ve been prepared to bring good that the world around you needs. Knowing what that good is, and who it’s for, you’ll be able to determine the invitation you want to be. 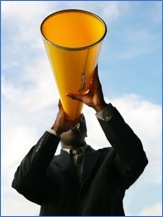 CRM reFocusing developed two workshops to help people do just that. Anchored in the bedrock of Eph 2:10, the Awaken & Activate Workshops provide a step-by-step process to determine God’s unique calling. You’re invited to examine your most influential life experiences. An inescapable truth is that we’ve all been shaped by our experiences. All of them. Curiously, the painful ones often shape us most powerfully. Awaken invites an interpretation of those experiences via a biblical view of God. Instead of interpreting your painful past through the lens of a distant, disinterested creator or a punitive, angry monarch, you’re supported to consider that a loving Father, aware of your life experiences, desires that they work for good [Rom 8:28]. How’s your character been refined? In what ways has God been faithful to you—even through the hardships? How’ve the passions, longings furies, and desires of your heart been ignited? These considerations hold clues about who you’re called to influence and the difference you’re equipped to make in their lives. Imagine this. In Awaken you realize you care deeply about the impact of job stress on law enforcement professionals, growing up with your mom, a correctional officer. While struggling with alcohol in your teens, you learned a lot about substance abuse. A decade later, you enjoyed satisfaction in the field of counseling. Suddenly, you recognize that training as a substance abuse counselor will allow you to capitalize on your relationships with local police. You begin to invite them toward health and freedom.